Have no fear, new and unique marketing ideas are here! 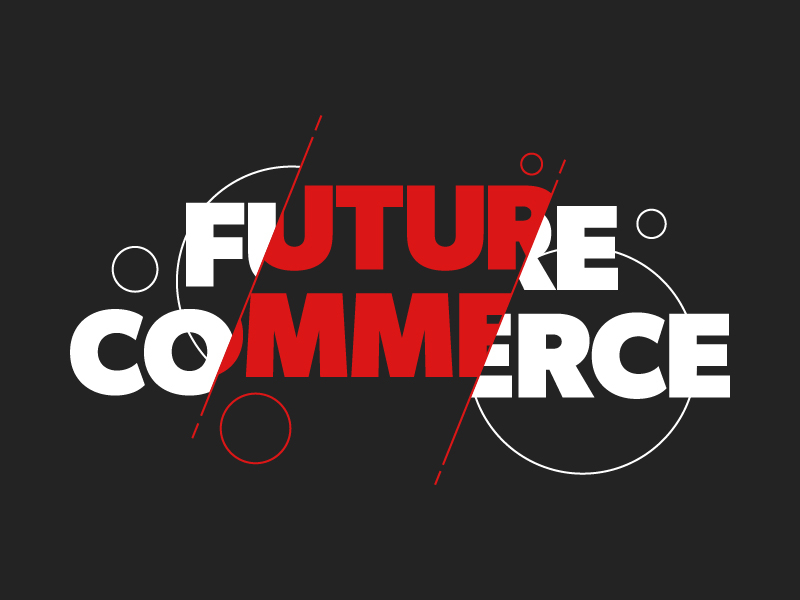 This week, we’re providing inspiration on how to make static typography stand out, explaining what Kayne West has to do with creative directors, sharing a social share that boosts brand awareness, and looking at a couple videos that transform dull topics into extraordinary pieces of content. Want people to pay attention to your company logo or website page? Show them something more interesting than just typical typography on a page. 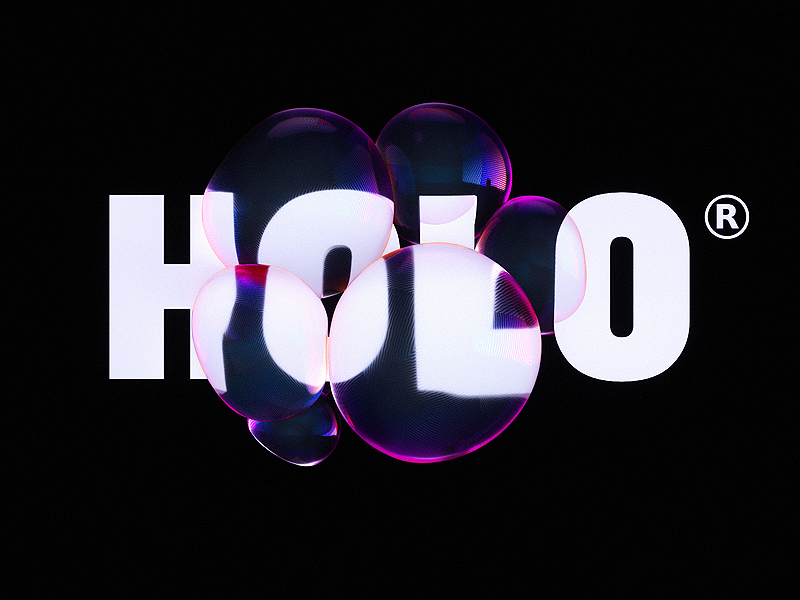 By adding 3D effects, bold colors, and other abstract elements, even the most boring words transform into visually unique pieces of art. This genius piece of content was created by Concept Farm, an advertising agency in New York City. 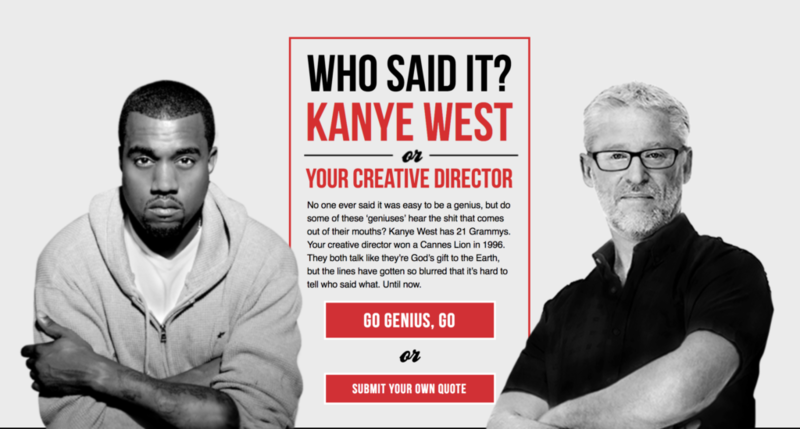 Basically, they made a connection between the often absurd statements of rapper Kayne West and the stereotypical arrogance of creative directors at ad agencies. They uploaded a lot of their own content based on real-life experiences and also allowed anyone to submit their own quote. I’ll warn you, some of the quotes are a bit graphic, but the bizarreness and surprising difficulty of the game is what makes it so engaging. The results? Over 100,000 plays in just two days and #kaynevscreative received over one million impressions on Twitter within a week. Plus, hundreds of participants uploaded their own quotes to make it even more engaging and personalized. Social Media is a powerful marketing tool when used correctly. In this example, our very own Chief Technology Officer, Tom, tweeted out a post about how our company is using another company’s product. 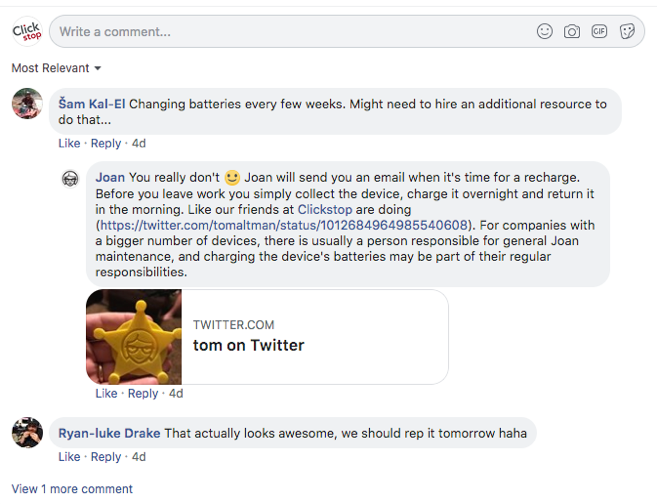 Marketers at Joan, a high-tech meeting room booking system company, saw Tom’s tweet and used it as supporting evidence when replying to a sarcastic comment. 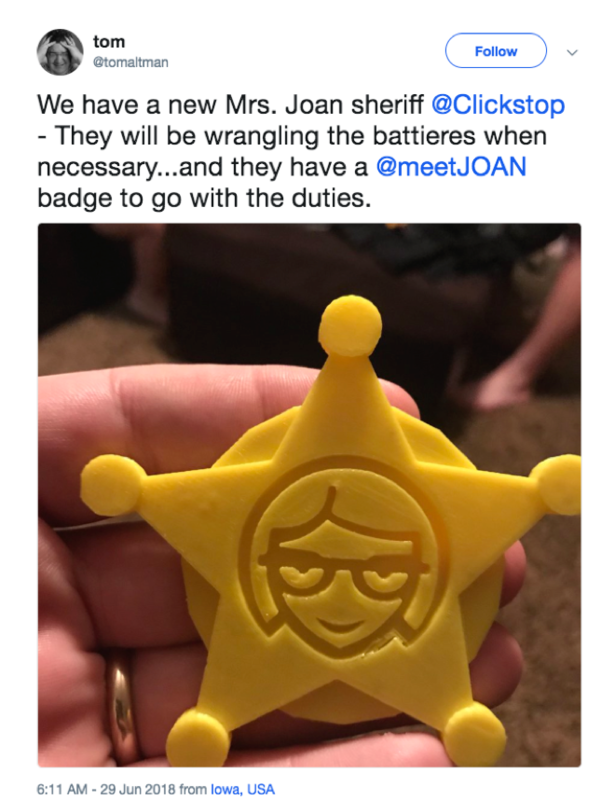 Now, everyone who follows Joan’s social media account is being exposed to our company in a fun and positive way – at absolutely no cost to us. 4. Who says a Safety Video can’t be Fun? Ladies and gentlemen, we now request your full attention as the flight attendants demonstrate the safety features of this…yea, I lost you didn’t I? As important as safety information is, it’s also important that the people listening aren’t lulled to sleep. This boredom is exactly what American Airlines was looking to solve when they created this visually engaging safety speech spectacle. While it may not be a direct revenue maker, it certainly makes them stand apart. At the very least, their customers’ experience is a bit more interesting, and there’s real value in that. Glorious typography finally got the recognition it deserves in this documentary film that sheds lights on just how influential the Helvetica typeface is in everyday life. Watching it, it’s pretty shocking to see how widespread the 60-year-old font really is. From advertising and apparel to safety measures, the often overlooked sans-serif font seems to be everywhere. What’s great about this film is the fact that it focuses in on not just one element of graphic design, but one specific style of that element. By doing this, the film is able to highlight the monumental importance and influence that typography and graphic design have in marketing. That’s all for this week, folks. Be sure to Follow the Fulcrum for weekly inspiration and information aimed at making your business better. Can’t wait for more marketing inspiration? Help yourself to a big serving of Fresh Creative Ideas with a side of Creative Inspiration.